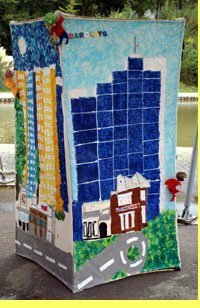 In the Summer of 2006, Ballyhoo Arts worked with playschemes in and around Basingstoke to make an installation inspired by the theme 'Where we Live'. 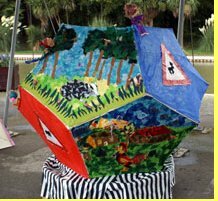 The project culminated in an installation at Eastrop Park. This project was organised by Basingstoke & Deane Borough Council.